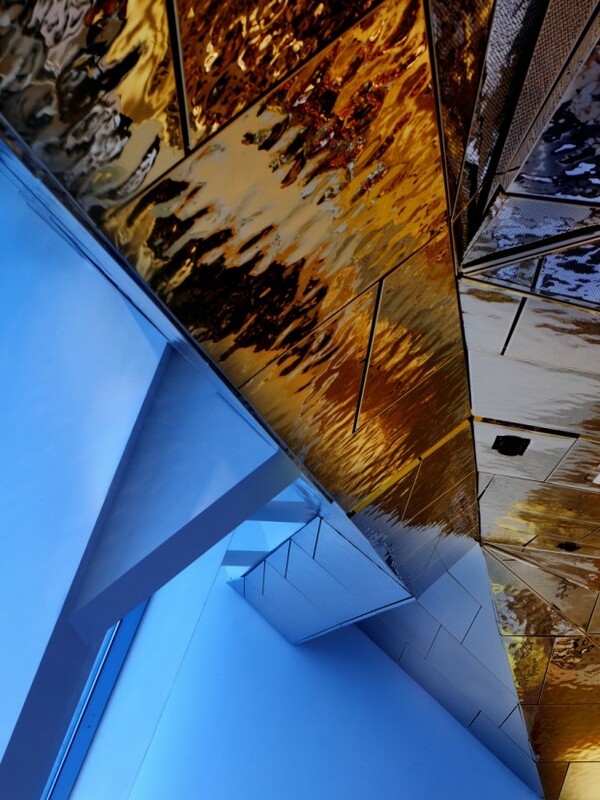 Adjacent to the Old Moscow Circus on Tsvetnoy Boulevard, this 3,930 sq m interior scheme takes over the upper two floors of the contemporary new building by Russian architecture studio Project Meganom. 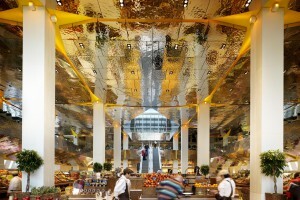 It is centred around a ai?? 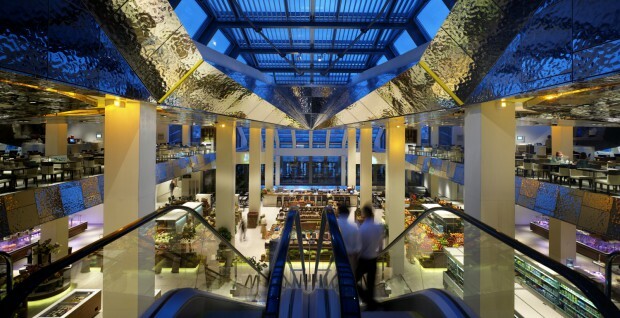 ?market place , above which a large-scale mezzanine level houses a 16m long bar, two private dining restaurants and destination outdoor terraces. 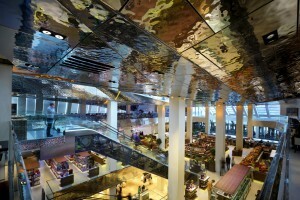 The building has floor-to-ceiling windows throughout, so Lifschutz Davidson Sandilands harnessed the ai?? 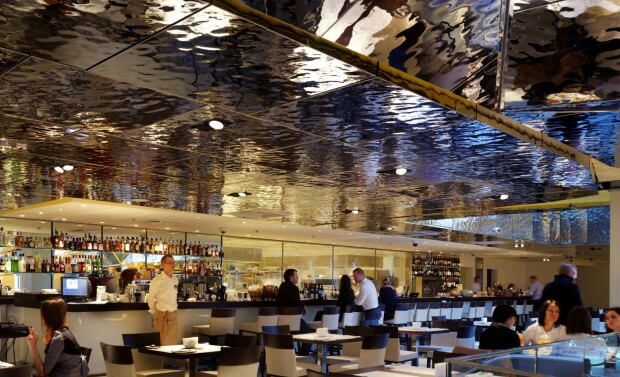 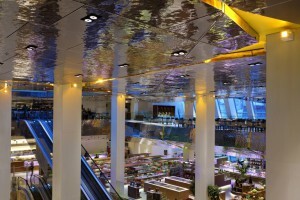 ?editable plane the ceiling and created a distinct feature comprised of 2,600 components made from highly-polished beaten stainless steel. 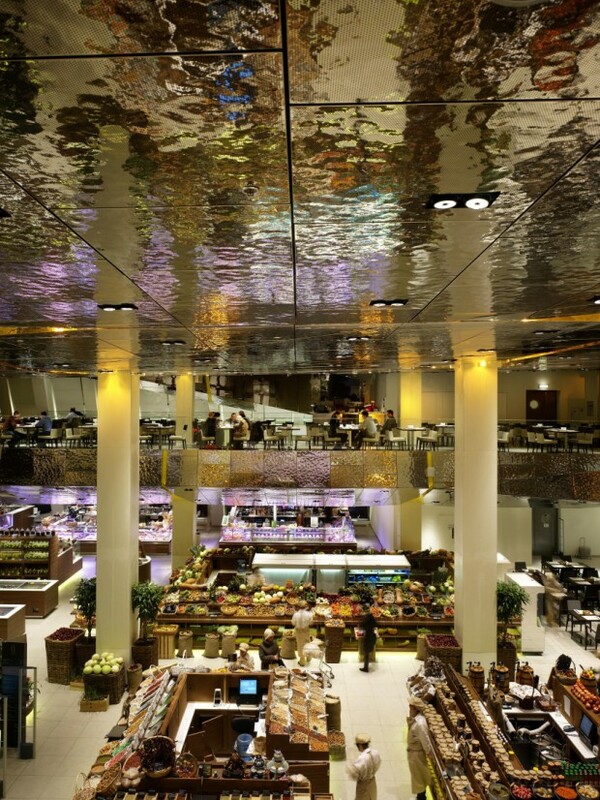 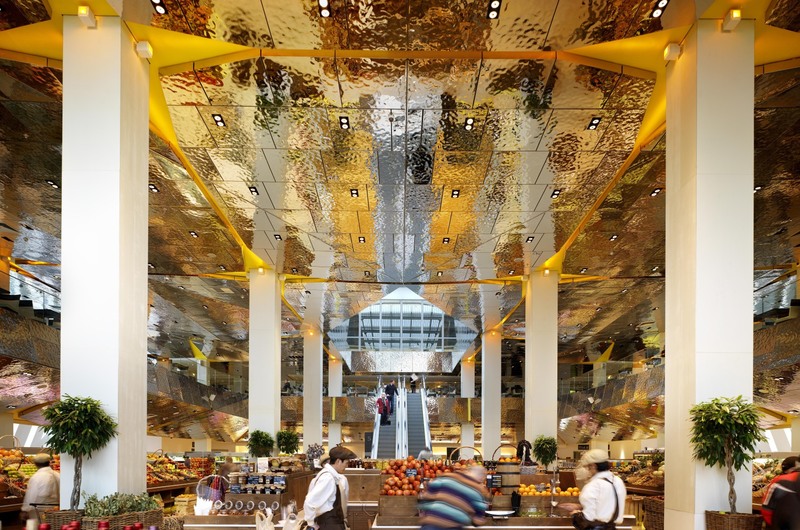 Visible from the ground floor entrance through a large full-height atrium, the ceiling provides a glimpse of the colourful produce and activities taking place above. 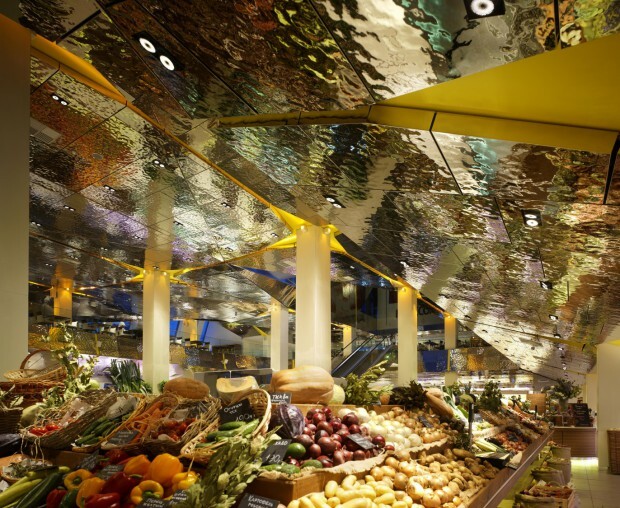 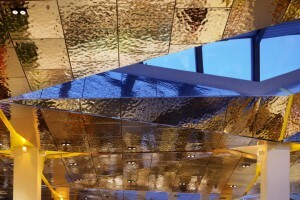 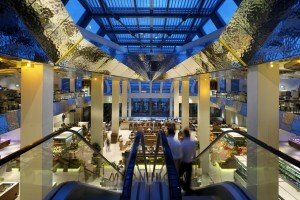 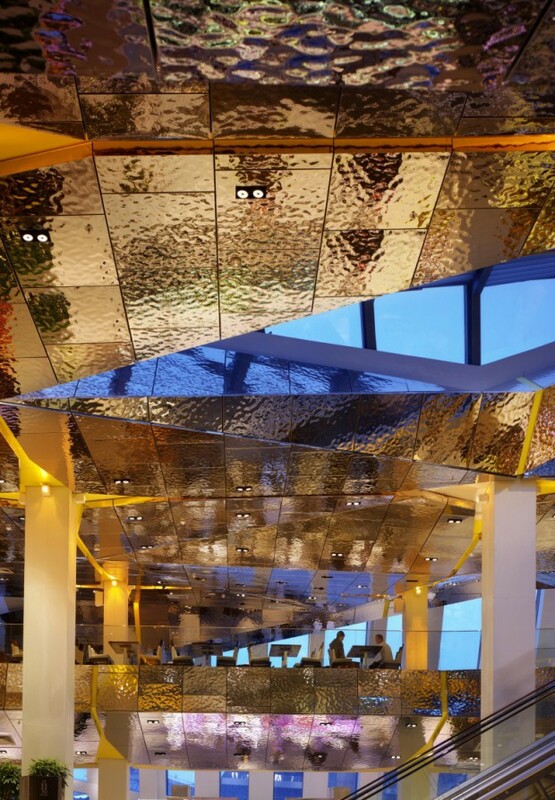 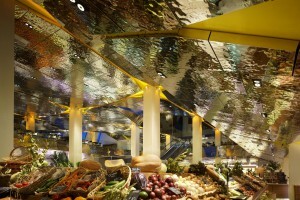 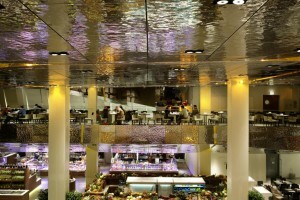 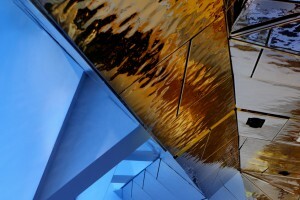 Sitting inside the external envelope, the reflective surfaces wrap and unify the two food retail floors, creating movement through abstract shifting patterns of colour, which make reference to the site s history as a flower marketplace as well as relating directly to the architectural geometry of the new building. 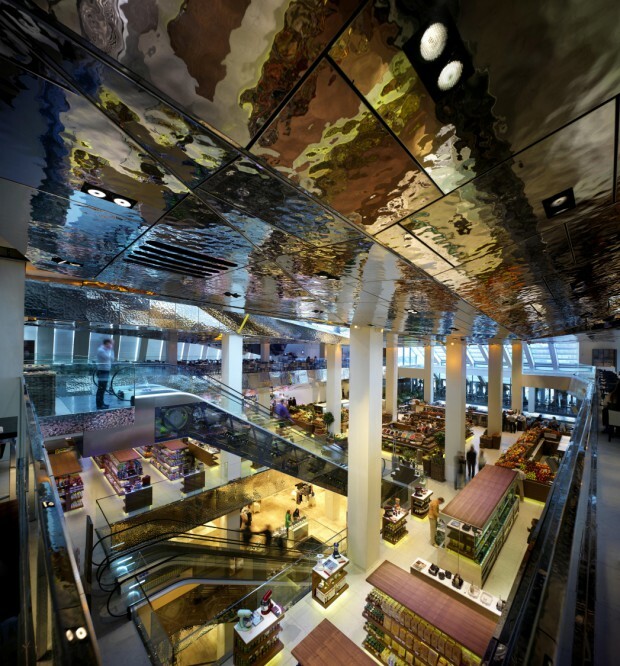 The approach to the brief, using space, light and technology to full effect has resulted in a sophisticated and accessible experience, so successful that the concept was extended down through the atrium to the lower levels. 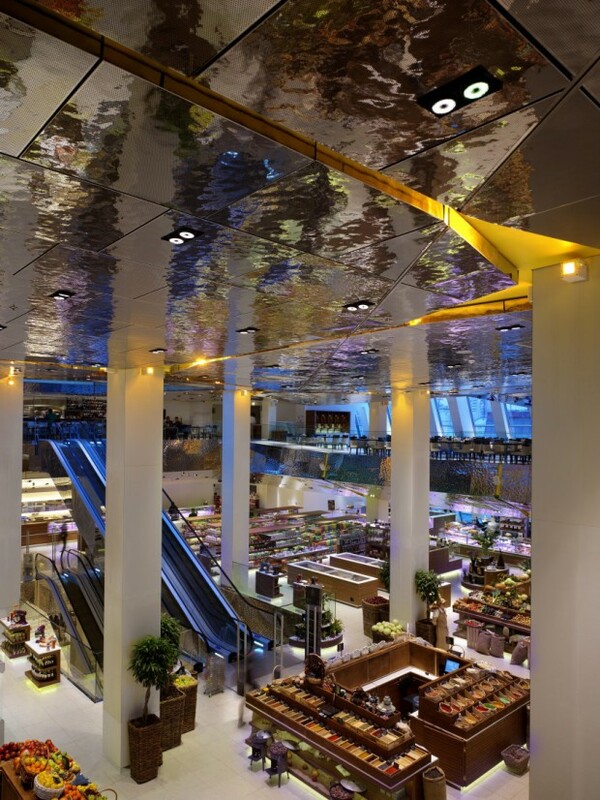 The ceiling works to create a distinct identity for the interior of the store, subtly enticing shoppers upwards through the building – creating a true destination at the top of the store.